Since his very earliest memories as a child, animals have played a huge role in his life. Growing up in a rural suburb of Cleveland, Ohio, Coyote spent most of his childhood outdoors scouring the nearby forests, swamps, and creek beds looking for whatever creatures he could get his hands on; everything from bullfrogs and water snakes, to his fascination with the common snapping turtle ignited his passion for adventure into the wild where there was always something new to encounter. As Coyote passed through high school and into college, he discovered his second passion in his love for movies, which led him to studying video production and directing at The Ohio State University. There, he honed his skills in storytelling, both from behind and in front of the camera, before setting out to make videography his career. 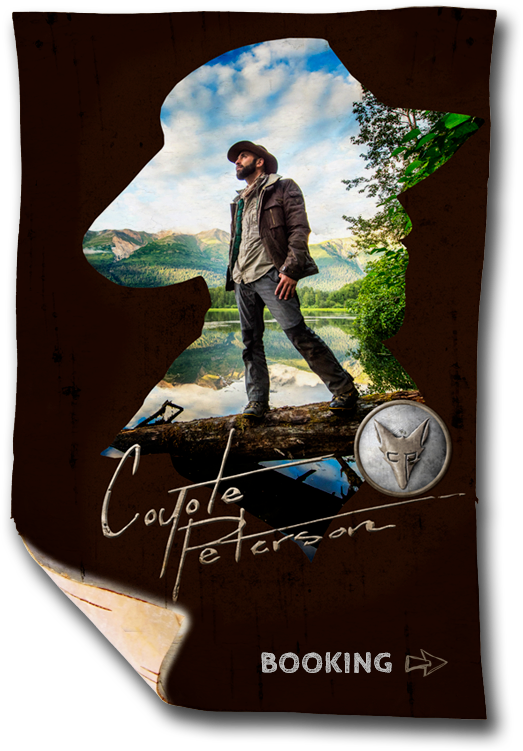 Coyote’s intense passion for wildlife and video production inspired him to combine the two mediums. 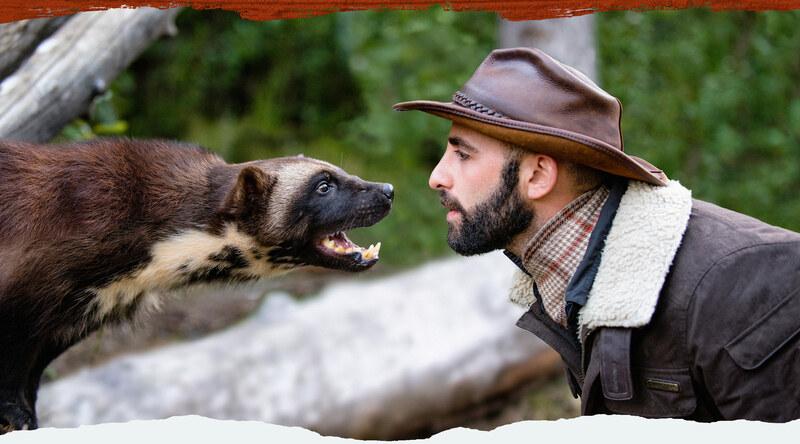 With entertainment as the catalyst, his goal was to make animal conservation and education entertaining for the next generation of outdoor explorers and animal enthusiasts. 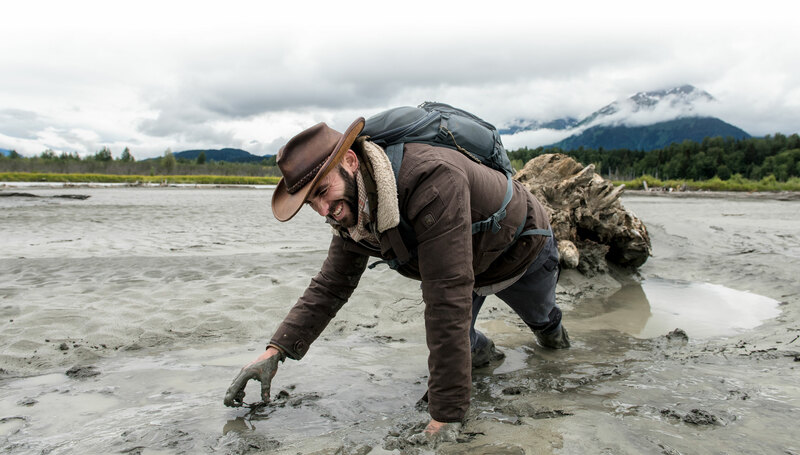 To accomplish this feat, he and business partner Mark Laivins designed Brave Wilderness, through which they produce several shows including Breaking Trail, Beyond the Tide, Dragon Tails, Coyote’s Backyard and On Location. 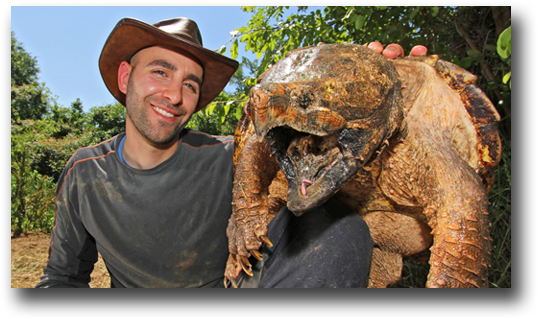 Each of these adventure series brings the audience up close with wildlife from various locations around the globe, all while promoting education and conservation through exciting expeditions into the wild. Coyote’s vision for the future of the Brave Wilderness brand is vast, and whether he is diving into the water to catch a giant turtle, or putting himself up against the sting of a bullet ant, he aspires to educate and entertain above all else.